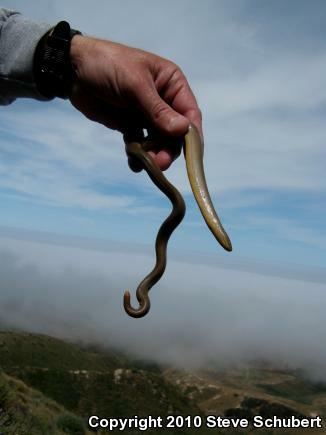 The rubber boa was visually encountered strectched out across the Valencia Peak trail in Montana De Oro State Park, approximately 300 ft. below the summit, on rocky shale debris. 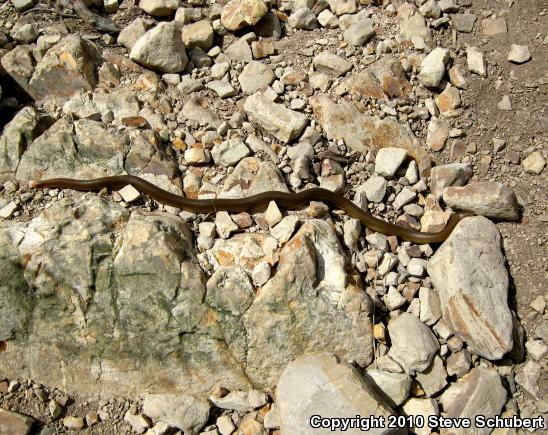 An outcrop of north-dipping Pismo Shale rock formation was exposed here adjacent to the trail. The slope dropping off below is vegetated by coastal scrub. I was leading a mountain hike for Camp KEEP (Kern Environmental Education Program), a residential outdoor school program. 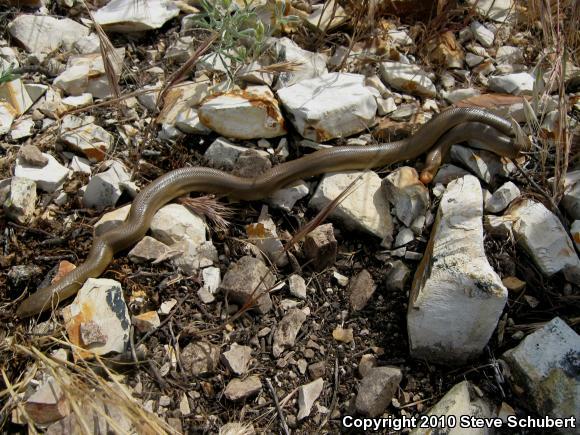 There were about about 30 students, counselors and one co-worker behind me on the trail - all were able to observe the rubber boa before released on the side of the trail where found. 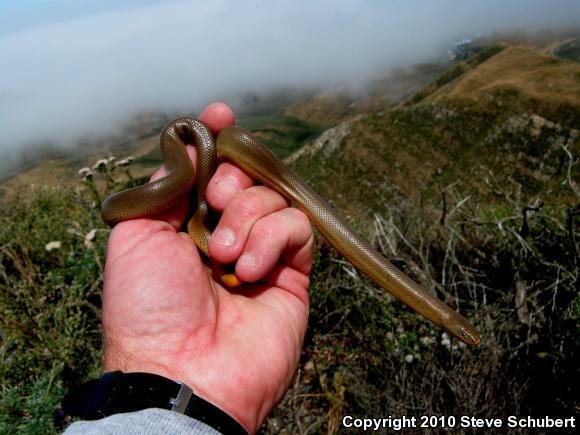 Sighting published in March, 2011 issue of Herpetological Review, apparently the first (photo) documentation of Rubber Boa in San Luis Obsipo County, CA, although there have been several prior anecdotal reports. That is a really cool entry..